What happens to students with dyslexia and learning disabilities when there are no more special education services? This from a teacher in Mississippi: I am an Inclusion teacher at my son’s high school. Our special ed department lost a certified position and two paraprofessional positions. Students receive services, but we have cut our presence in all but core classes. —National Center for Children with Learning Disabilities who claim there is a 52 percent cut in special education. For more see HERE. When it comes to teacher education, many parents and the National Center on Learning Disabilities (NCLD) supported Sen. Cassidy’s (R-LA) push for an amendment to ESEA. This was to provide federal funds towards professional development for teachers to teach and identify students with dyslexia. While the bill did not pass, many parents still support his ideas. Certainly, as parents, educators and citizens we should be troubled that we have not evolved to a better place when it comes to serving students with disabilities including dyslexia and learning disabilities. To witness an exchange such as the one between Sen. Cassidy and Education Secretary Arne Duncan is troublesome. HERE. But while I can appreciate Sen. Cassidy’s attention to the area of learning disabilities, and more specifically dyslexia, I did not support this amendment or the thinking behind it and here is why. It is not true that teachers have never had training to work with students with dyslexia or learning disabilities. It used to be that students with learning disabilities would be referred to a resource class for 1-2 hours each day. Teachers in these classes specialized by taking intensive coursework in college to learn about learning disabilities and dyslexia. I know because I was one of those teachers! We received authentic, state credentials based on this coursework. Resource teachers assisted students individually and in small groups. They also collaborated with regular education teachers to help students succeed in the general classroom. Today, these classes and the assistance given students are largely gone. But it is as if Cassidy and many parents have forgotten those days…or they are too young to remember! The truth is that special education has been dismantled across the board to pave the way for privatization. Politicians never wanted to fund special education, and by re-authorizing the original PL 94-142 to IDEA they went a long way to extinguish services to all students with special needs. They did this by placing all students in the regular classroom. Without a resource class, parents want special instruction in the regular class. Certainly, every effort should be made to place children with disabilities in general classes when parents and teachers agree it is the best placement, but when students have disabilities like dyslexia they most likely need something more. It is a lot to ask regular education teachers to teach programs for dyslexia or learning disabilities. Regular teachers are generalists. I liken them to general practitioners in medicine. With the elimination of special education, they are being pulled in many different directions. They often struggle in large class sizes and many have lost paraprofessionals. What regular education teachers should be able to do is determine when a student has a learning disability of any kind. A course in their college preparation class should enable them to do this, and they used to do it! Being able to identify learning disabilities, and referring students to get further testing and consideration by the referral and IEP team should be the goal. Unfortunately, Response to Intervention (RTI) is being used to supposedly address learning disabilities in the classroom. I am not a fan of RTI and have written about it HERE. Furthermore, not every child in a regular class has learning problems when it comes to reading. I find it strange, as it has been suggested, to assume that poor or ELL students all need to learn how to read by a systematic program designed for students with learning disabilities and dyslexia. This is a troubling one-size-fits-all approach. Cassidy argued for “profession ready” teachers. Duncan, with no teacher preparation in education, in their argument mentioned above, also dissed the education schools for not preparing teachers well. This seems a concerted effort to criticize teachers and is repeatedly promoted in the media. I would like to ask both these men what they think of the current effort to replace real university teacher education programs with fast-track residency teachers, Relay GSE, and Teach for America– which are controversial concerning regular education let alone special education. These programs should raise a red flag to every parent, not just parents with students who have disabilities. Don’t parents want, and deserve, quality career teachers, including specialists, who study the disability areas? Where are we going when it comes to our students with disabilities? I am certainly shaking hands with Senator Cassidy and his supporters when it comes to the need for good instruction for students with dyslexia and learning disabilities. Will we have to wait for a generation that fails? Are we already witnessing such a generation? 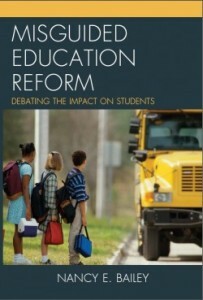 The fact is, however, that the education reformers have had control of schools for years. They removed the voices of the teacher and parents from the equation a long time ago. The NEA also did not support Sen. Cassidy’s amendment, but I do not know why. This post included my views not the opinion of the NEA. I can appreciate your perspective. However, I am very active in Decoding Dyslexia and want you to know that I have never heard anyone, in my state or nationally, want to dismantle or reduce funding for special education. We want to support you! We want our special ed teachers to have all of the resources and funding they need to help kids with dyslexia and all those who need specially designed instruction. In my state, the only special education teachers who have any knowledge of dyslexia or how to remediate it are those who have paid thousands of dollars for training on their own. I have talked to so many special ed teachers who want to know about dyslexia! But they don’t have and/or want to spend their own hard-earned dollars to learn. Nor should they have to! I think it’s great if you were taught about dyslexia and how to remediate it in your training, but across the country, the majority have not been. In a recent letter to our group, our state’s association of teachers colleges admitted they do not teach about dyslexia nor do they believe they need to! The Cassidy Amendment didn’t require anything. It simply would have allowed money to be spent on dyslexia training. We believe strongly that it could have helped those educators who want to help our kids. Another issue to keep in mind is that the majority of dyslexic kids don’t qualify for special ed. In my state, you have to be in the bottom 10% academically or it just isn’t going to happen. Even though IDEA states that special ed should in theory be available to kids who get passing grades, our state’s procedures make that virtually impossible. So what should parents of dyslexics do? We are told our kids can’t have special ed until they are all but failing. Our general ed teachers have no idea what dyslexia is, and our reading specialists offer one program – Reading Recovery – and that’s it. We are forced to hire expensive tutors or homeschool if we can afford it – just to teach our kids to read. I do hope you will reconsider your position on Senator Cassidy’s amendment and realize that it is not designed to elevate dyslexia from other disabilities. Our children are NOT being served, and that was one way to perhaps begin to level the playing field. We will continue to support special educators and appreciate all that they do to help our children. Katie said everything I wanted to say! 🙂 Ditto for NJ, not even master trained special education teachers learn about dyslexia. As a mom of 2 dyslexic’s, advocating for 10 years, nothing is changing, the situation has always been dismal! We are not against recourse rooms, but as Katie said, many of us fight for YEARS to even get an IEP. Hi Katie, I appreciate you thoughtful comment. And thank you for your comment as well Cherryl. I wrote about how it used to be. I taught special education and was credentialed in the late 70s. You could not be a special education teacher at that time if you did not take coursework in that area. I’m looking at one of my favorite textbooks–Children with Learning Disabilities by Janet W..Lerner…an oldie but goodie. But the fact that you can’t get services for your children in public school demonstrates that there have been cuts and those changes began in 1997 when PL 94-147 changed to IDEA. It was re-authorized again in 2004. I really wonder where your special ed. teachers go to school! I am so sorry that you do not have access to good special ed. teachers. I wish Sen. Cassidy would have fought for giving your students IEPs and good special ed. teachers. Ditto for Maryland. My son was in the highly regarded Montgomery County Maryland public school system. After we identified he was dyslexic, we asked his teachers how familiar they were with dyslexia. To a person they all said :”not so much.” The special educator only had passing knowledge of Orton Gillingham. I don’t know what we are teaching teachers, but it’s certainly not enough for the 58% of Maryland eighth graders who were not proficient in reading (NAEP). The program is broken and any effort to change is met with strong resistance from the folks who should be leading change! Allan, you certainly raise a lot of serious questions about reading and teaching. Thank you. What are you doing for your soninstead? I’m a frustrated MCPS parent. This article definitely brings up a conversation we need to be having across the country. I am a dual-certified special education teacher who currently works as a resource teacher with learning disabled students. I am also the parent of a dyslexic child, and I raised my brother who was cognitively impaired and emotionally disturbed. Speaking to other teachers, specifically special education teachers, It has become abundantly clear that funding and services are being drastically cut. NJ did in fact pass a law that requires special training for teachers and requires schools to provide services for dyslexic students. Dyslexia IS NOT considered a specific classification under which students can receive services. Typically, students with dyslexia are classified as either Specific Learning Disability, a classification that is decidedly NOT specific, or as OHI other health impaired. Although I think this is in the process of being changed. Here is the rub, as Katie pointed out, special education teachers ARE NOT trained in remediation for dyslexia. I earned my credentials 13 years ago, and I can honestly say that though I was trained to identify students with dyslexia, I was NOT trained in how to remediate them. Special education training involved identifying students with learning difficulties, understanding how various learning difficulties work, and modifying or creating curricula to meet the needs of students with learning difficulties, making curricula accessible to all students. . Dyslexia requires a subset of very specific skills that are only taught in a Reading Specialist training program, or in a specific Orton-Gillingham training program. Completing those programs is tantamount to completing a second masters degree. In order to better serve my students and my son, I am, for the most part, self-taught in the methodology as I do not have an extra $10k to further my training and very little is provided to me by my district. I have spent countless hours doing my own research and reading and taken workshops on my time and at my own expense. Even though I am not specially OG trained, my district bought and trained me on an OG “canned” program. However, I found that my resource room, where I have students with such a variety of disabilities, was NOT the best place to use it. I now teach an extended day program where only the students who would benefit from specialized multi-sensory reading instruction, get the instruction. This program is only possible because my principal is willing to fund it. That is NOT the case in many schools. In the meantime, we have many students being denied services because of RTI. These children are supposed to be supported in a general education classroom in the hopes that with correct supports, they can then make-up ground and become successful. It’s a good idea in theory because it should stop schools from erroneously classifying students who really just need a little extra help or time. Unfortunately, the supports DO NOT include truly modified curriculum, extra tutoring, or even a classroom aide or basic skills help unless they are transferred to a classroom with a full-time inclusion teacher. These children may spend up to two years in RTI getting further and further behind, and you can imagine what our inclusion classroom have become. This is in NJ where we still have full-time inclusion teachers. What about in states like Florida where a dual-certified teacher leads ESE classes BY THEMSELVES!!?? My very good friend was told NOT to refer ANY child for testing and evaluation unless they are significantly impaired or autistic. They do not want ANY LD students being classified. They consider it a waste of time since they will not actually receive services anyway. She gave up her ESE certification because she cold not longer handle working in that environment with ZERO help. Imagine leading a class of 20-25 students where a significant number of them need special services and you have to help EVERYONE BY YOURSELF. It’s a nearly impossible task. My own child was denied special education services for dyslexia. He was reading over two years behind at the end of last year, and his writing is still about three years behind. Luckily he attends a great school where they spend their Title 1 funds on reading specialists. He receives pull-out reading instruction daily from a certified reading specialist. He is now only 8 months behind in reading once we got the correct supports in place. Last year they were using a “Reading Recovery/ Guided Reading model” that did NOTHING to support his reading needs. This year I forced them to start doing multi-sensory reading instruction, and his abilities have grown tremendously. Getting students “support” is meaningless unless it’s the right “support.” At least in his case RTI is working like it should. Sadly that is the case in very few place, and RTI will not protect him from retention or ensure accommodations on standardized tests. I apologize for being so long-winded, but I thank you for bringing up the topic. Unless parents are active advocates for their children and well-versed in special education law, they will NEVER get the services their child needs. Heck, there are many parents like myself who are STILL fighting an uphill battle to get the education our children need. I just want to second everything u said, but I teach I. Delaware! Excellent comment, Samantha! Not much I can add. But 10K to get prepared with one program? The district doesn’t pay for it? How strange. 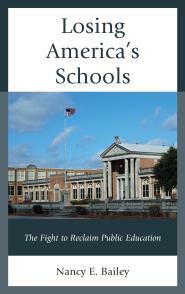 But I guess that is a part of today’s quest to privatize schools. I included the tape where Ed. Sec. Arne Duncan said that there isn’t any consistency in programming for dyslexia and I think you describe that well. I’m sorry, but as a dyslexic, back in the days before all this IEP and special population stuff, I really kind of resent my visual and reading ability labeled as a DISability. It’s not. I have a doctoral degree and read three languages. Being dyslexic hasn’t held me back at all. Why? Because no one ever offered it as a ‘disability’ or an excuse I could use to hold myself back. Maybe THAT is the real answer instead of money? Labeling children with this or that disability creates students who think of themselves as abnormal, broken, and wrong. THAT is the real crime. Kyra, I dislike labels too. I think the important thing is that someone who has a disability can get help and/or adapt and succeed–which you sound like you did on your own! Thank you for sharing. Kyra – Back when you went to school the curriculum wasn’t about staying connected to text as the only form of learning. My child isn’t learning DIS-abled (she learns just fine)….Unfortunately, her learning IS being disabled by the current curriculums and teaching methods. It’s sad to realize that the only way kids are allowed to learn today is by being able to stay connected to text so that they can pass a test to determine funding. It is far reaching now into Kindergarten where instead of learning rhythms, finger plays, social skills, letters and sounds and pre-writing skills (fine motor) like cutting, drawing, coloring – they must be reading at a level 4 and know 55 sight words before moving on or they will be forever behind. Due to the developmental inappropriateness of the current methods, many children are hitting brick walls in 3rd grade and being punished for it. Even the math is now taught through writing out every step to prove your understanding or ridiculously tricky word problems that include multiple steps to decompose. Dyslexics used to be rather good at math because it was about problem solving. Now it’s about explaining (through text) how you arrived at your answer. This Bethany! Thank you! This is the huge fear surrounding reading today. How many children will be labeled disabled because they were at developmental level and expected to work beyond? You nailed it. I support Katie and Samantha’s response. My gut reaction was WAIT, what State is this teacher from that SHE got training? • Access to appropriate assistive technologies and accommodations in the public school setting for students with dyslexia. Nancy, you are absolutely right that they are bleeding down the numbers allowed to be given SPED services. The next town over went from 22% down to 12% this year. If 20% of our children have SPED needs and we are only recognizing and remediating well under those levels…then our DOE is willingly and intentionally denying children the necessary tools in order. Clearly now that we have connected to our respective DD States, we have tapped into becoming a repository for parents and teachers. We have heard from hundreds and teachers who want the tools because they realize they don’t know enough to help these children. You are also right about the RTI and PLP’s are used far past their intended purpose – Clearly there is a misuse. Educational Malpractice is happening to children like mine daily and we must evolve. P.S. Your reference to ‘years ago’ give me a moment to pause and think about some of the older retired SPED teachers that testified and some are personal friends. They said years ago they did Reading Recovery and was very successful. It was somewhat successful because it was 1:1 and Teachers were able to give this individual attention. BUT, research states this is an ineffective remediation for Dyslexic children. Thank you for your response, Suzanne. The area of learning disabilities, dyslexia and reading instruction has been controversial for years. For every person who says Reading Recovery doesn’t work there will be those who swear by it. There are those who question the research involving Orton-Gillingham too. http://www.examiner.com/article/lack-of-scientific-support-for-orton-based-reading-interventions-part-1-of-2. I know some parents will not be happy with me for including that link, but I believe it is important to understand questions that come up concerning every program. I am always skeptical of programs claiming to be “scientifically proven.” This term was flung around haphazardly with NCLB. It is especially concerning when children who do not struggle with reading are put through these programs, which is why I stick to what I originally posted. A student with learning disabilities of any kind deserves remediation separate from those students who do not display reading problems. Of course if they can handle the regular ed. work with some assistance the regular class is the place for them to be. I am troubled by all the claims that teachers, even special education teachers, are not prepared. I have noticed that many colleges do not cover special education like they used to. I also know that there are now many online programs and for-profit colleges that are not regulated well. So it is anyone’s guess where a teacher is coming from. Credentials do matter. But I think where we can all agree is that students with LD are not being given the services they need, and it is critical to find the right approach for every individual child. Thanks again for your advocacy. There is a reason that every private school for dyslexia across the country uses an Orton Gillingham based program, not Reading Recovery. There is also a reason that parents of dyslexic children hire a tutor who uses an Orton Gillingham program, not Reading Recovery. I completely agree – you can get research to support both sides. Sometimes it’s more important to get on the ground level and see what’s working. Those who specialize in working with dyslexic kids use OG based instruction because a systematic, structured, multi sensory approach to literacy works for dyslexia, and they know it. My state is filled with Reading Recovery Specialists, and we have the worst special ed reading scores in the country. In most areas, it is all that is offered. We are not even asking for the removal of Reading Recovery from schools (although the Depts. of Ed in Australia and New Zealand recently did and and proclaimed it a national failure). We are just asking for something else for those kids who are not helped! Unfortunately my state’s primary teacher preparation college trains in Reading Recovery and nothing else. They keep pointing to all of their research. I’ll keep pointing to my child, and the hundreds of parents whose children went through the program in first grade and now need an OG tutor. Katie is absolutely right, Reading Recovery is inappropriate to use with Dyslexic Children. The science has long been out and unfortunately its the DOE who is not evolving to harness this. Schools are still be allowed to use System 44/Read 180, and if teachers truly had the training….they would know then, that these programs are inadequate. I have coined the phrase Educational Malpractice equivalent to that of a podiatrist treating someone with a brain tumor and not labeling the patient to have that…but rather…to give them all kinds of tests, experimental medications and potentially knowing what the issue might be…but because he’s a podiatrist he doesn’t want to label…so Podiatrist says to go now and seek someone more qualified in your area needed. Nancy, I just don’t even understand why you bothered citing the Reading Recovery link and then say that you know people will probably get upset. Darn right, because we are used to our children being wrongly handled with persistence and defiance of their necessary tools to be successful. Where were you trained? Were you trained in O.G., or Wilson, I would say no if you are touting the RR program. Hi Suzanne, Perhaps because I said that some parents like RR you assumed the link was supportive of RR. But the link is a report by Dr. Brandi Noll a professor at the Univ. of Akron who works with schools and does research involving struggling readers. The link raises questions about O.G. I don’t think it mentions R.R. I never said I supported any program! My M.Ed. is in learning disabilities from U of N. Florida. I am no longer teaching. I went through Renee-Herman when it first came out. It has changed. Since I taught middle school at the time I went with the SRA Corrective Reading and SRA Morphographic Spelling.which my district approved. I also did a lot of reading with my students and used some of D. Deshler’s Learning Strategies which were very popular at the time. Dyslexia was considered one of many learning disabilities when I was teaching. My post was not about particular programs for dyslexia, but my belief that regular teachers should not be teaching students with dyslexia when those students need something more than what the regular program provides. But students with any learning disability including dyslexia certainly deserve decent programming I would say in a resource class with a fully trained teacher in learning disabilities–including dyslexia.. And 1-2 hours a day. I would say that’s ideal with participation and support in other classes. You can disagree if you want. Thank you for your comment. Whatever program that teacher chooses should be one they are comfortable with and that parents feel good about–which fits with the students. Thank you, Katie. Please see my post to Suzanne. I did not endorse any program for dyslexia, but you are right that each parent group thinks theirs is the best. I understand Nancy. I guess my point was that it isn’t just parent groups that are saying systematic structured literacy approaches like Orton Gillingham are best for dyslexia. I have researched private schools for dyslexia all over the country and every.single.one. of them uses an OG based program. That speaks volumes in my opinion. Nancy, I was wondering if you could clarify something. In your training, did you receive instruction in dyslexia specifically? I am referring to dyslexia signs/symptoms, myths vs. facts, brain and neurological differences associated with dyslexia, remediation techniques for dyslexia? Or was your training focused on general LD? I am asking because I have never met or heard of a teacher who received that kind of dyslexia specific training unless they attended an IDA accredited college or university or had the Academic Language Therapist certification that is strongly dyslexia focused. Thank you in advance for satisfying my curiosity.